Space in New York City always comes at a premium–even Manhattan air rights cost more per square foot than the nation’s average home prices. Townhomes have long been seen as status symbols in NYC real estate. 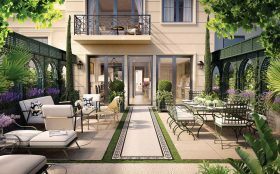 But despite being coveted properties, traditional townhomes require upkeep and maintenance that condominium owners do not have to deal with. In an effort to attract buyers and eliminate the hassles associated with traditional townhouse living, many NYC developers are building the “townhouse 2.0,” fully modernized new construction townhomes with access to all the services and amenities of a condominium building–the best of both worlds. Ahead, 6sqft has rounded up some of the best examples of townhomes 2.0 in New York City. New Jersey rock star Jon Bon Jovi has purchased an apartment in the Greenwich Lane, a condominium project in the West Village, for $18.94 million (h/t WSJ). The complex stretches almost a full city block between 12th and 11th Streets off Seventh Avenue and features 198 one- to five-bedroom homes. The musician’s new pad at 155 West 11th Street includes four-bedrooms, incredible views of Downtown Manhattan and the Hudson River and direct elevator access. 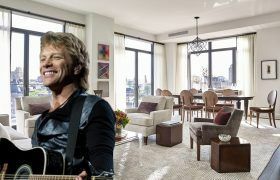 As 6sqft reported in July, Bon Jovi listed his spacious three-bedroom at 150 Charles Street for $17.25 million, later combining the pad with the neighboring duplex for $29.95 million for both. 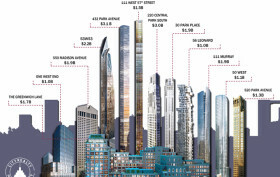 It’s projected that over the next five years, new development sales in Manhattan condos will total $27.6-$33.6+ billion, but this sky-high figure is heavily skewed by prices in just five buildings. These luxury towers will account for one-third of the total projection. Three of the buildings — 432 Park, 220 Central Park South, and 550 Madison Avenue (the former Sony Building) — are located on billionaires’ row and are expected to bring in a whopping $8 billion. 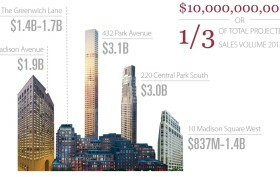 The Greenwich Lane and 10 Madison Square West will also likely bring in close to $1.5 billion each. Along with this boost from the upper end of the market comes a trend where fewer units are selling, but prices are shooting up. In 2011, Rudin Management inked a controversial deal to convert part of St. Vincent’s Hospital into luxury condos, now known as The Greenwich Lane. 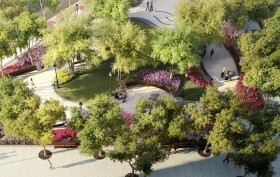 Part of the deal was that the developer would build a public park on an adjacent piece of triangular land that would include the city’s first major AIDS memorial, a feature that garnered tons of press thanks to a much-talked-about design competition. 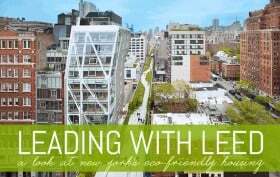 Now, the Wall Street Journal reports that Rudin has broken ground on the new 16,000-square-foot West Village green space, located on Seventh Avenue between Greenwich Avenue and West 12th Street. And along with this news comes renderings from M. Paul Friedberg & Partners, the architecture firm that designed the Greenwich Lane and is also designing the park, which show winding walkways, curving benches, plenty of trees, play areas, a lawn, and water jets.